Sanjivini Jadhav(5000 and 10,000m), Sandeep Kumari(Discus Throw), Jhuma Khatun(1500m) and shot putter, Naveen Chikara are the other Indian athletes who were added to the doping hall of shame on Monday. 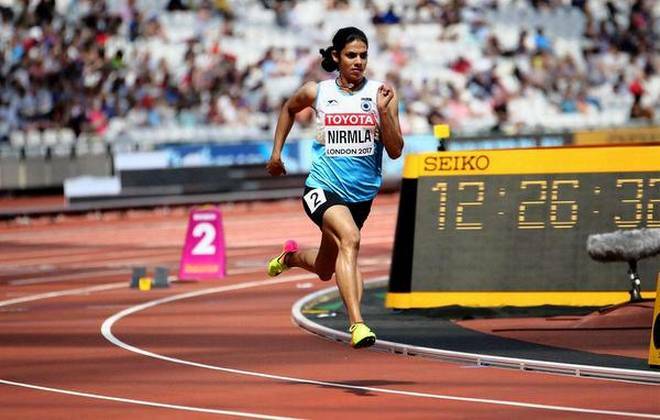 The 23-year old Nirmala had won the Asian Championship gold last year and has been in the news for her prolonged absence from the national camp after the World Championship last year. Even after her continues absence in camps she comfortably attained the standards for the Rio Olympics and World Championship at London. She was named in the Registered Testing Pool (RTP) of the National Anti-Doping Agency(NADA) last November. For Adille Sumariwala, President of the Athletics Federation of India, the doping results didn’t come as a surprise. “Sheoran never attended any national camps before the Asian Games and that’s the reason why we purposely didn’t include her in either of the two relay events (4*400 women’s and mixed). We could have lost two medals because of her. The results reassert that the athletes should stay in the national camps”, she commented later. The doping menace threatened to get uglier at home since this has come in a sample that was retested in the WADA-accredited laboratory in Montreal after it was shown as dope negative at NDTL in the capital.